In 1966 four financial institutions came together to create a rival to the Bank of America card. Wells Fargo, The Bank of California, The United California Bank and the Crocker National Bank created the “Master Charge – The Interbank Card”, which would eventually be known as MasterCard thirteen years later. MasterCard is now famous the world over and the logo of the company is instantly recognizable – this credit card giant now having assets of over $14 billion and over 8,000 staff working for the company. MasterCard is a popular deposit method at online casinos, although you won’t find it is an option at all online casinos and less so at casinos available to US players. When visiting a site you’ll generally see a selection of the deposit methods on the home page (usually at the bottom of the screen), so you’ll know quickly if they accept MasterCard. Failing this, contact the customer service team of the site or check the ‘help’ pages. If using a casino site for the first time you’ll have to register at the site – simply a case of entering your details and possibly verifying your e-mail address by clicking a link in an e-mail. You’ll then be ready to deposit – so click on the ‘cashier’ and then select the MasterCard option. You’ll be required to enter the card number (the long number across the front of the card), the expiry date on the card and possibly the CVV number (the three digit number on the back) and the name as printed on the card. The final piece of information you’ll need to submit is the amount you’d like to deposit. The funds will appear in your account almost immediately. On occasions, there can be a problem when depositing from a MasterCard in the US – this being due to the UIGEA legislation passed in 2006 which prohibits financial institutions from allowing payments to gambling companies. 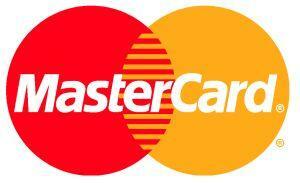 This can mean that even if a site lists MasterCard as an option, the payment might be declined. Fortunately many casino sites will endeavour to make payments possible, so they will try and help you through the deposit process. Some sites have more than one payment processor, so the first thing they’ll try is to use the card at a different processor. If this fails, the site might suggest using an alternative payment type. E-wallets can be useful for MasterCard users, as you’ll be able to load these with your card and then load your casino account with the e-wallet. Obviously this is a slightly longer process, but it is proven to be effective. You could also make a money transfer using a company like Western Union. 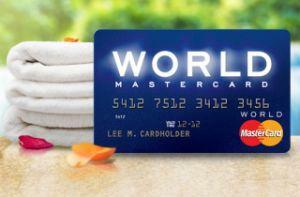 On occasions casino sites will actually accept MasterCard without actually listing the credit card as a payment type. This is more likely to be available if you are a longer term customer at a site and you have a good history with them. There are three main advantages of using this deposit method. Firstly, due to MasterCard not being as widely available as some other payment types, you’ll find that there is a greater chance of the deposit being accepted at the sites where it is available. Secondly, any deposit you make will be available in seconds, so you’ll be able to hit the casino with no delay. Finally, if using MasterCard more than once at a site, you’ll not have to enter all of your details again, as these will be stored at the site. In most cases you’ll not be charged a fee when using a MasterCard to deposit, although you should check the individual site to be sure – if a site does charge a fee it may be waived if you deposit over a certain amount. You’ll not be able withdraw to your MasterCard, so you’ll have to take advantage of one of the other withdrawal methods. The most popular are checks – check the site for other options. Bovada are one of the biggest gambling firms in the industry, offering a sportsbook, a racebook and a poker site as well as of course, their casino. The casino features a great variety of slots, table games, card games and many others. When joining the casino you’ll be able to take advantage of an amazing welcome package, with your first eight deposits earning you a potential windfall of $3,000. When it comes to smooth deposits and first-class service, 32 Red stand head and shoulders above the competition Internationally. This popular US based brand run MicroGaming, offering a huge selection of games, slots and novelties. I rate this casino number one when it comes to looking after regular players – and their promotions are way better than many others too. See www.32red.com for the latest offers.